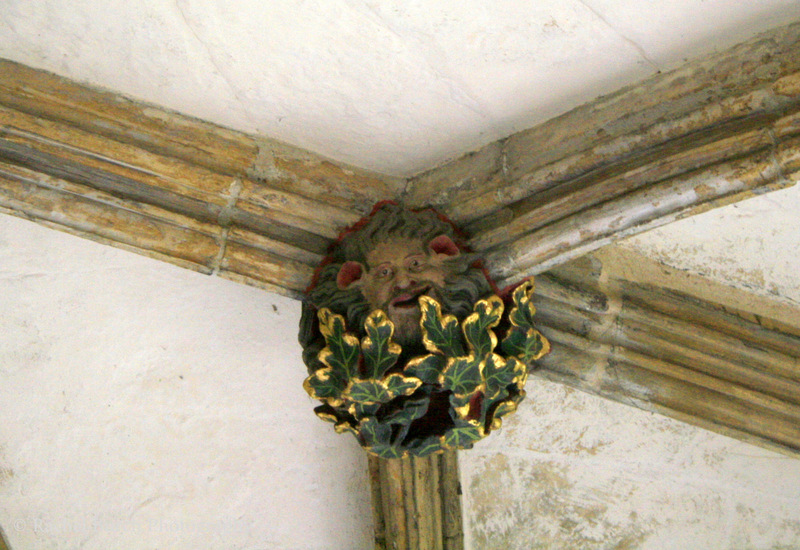 Green men in Norwich cathedral, June 2013. 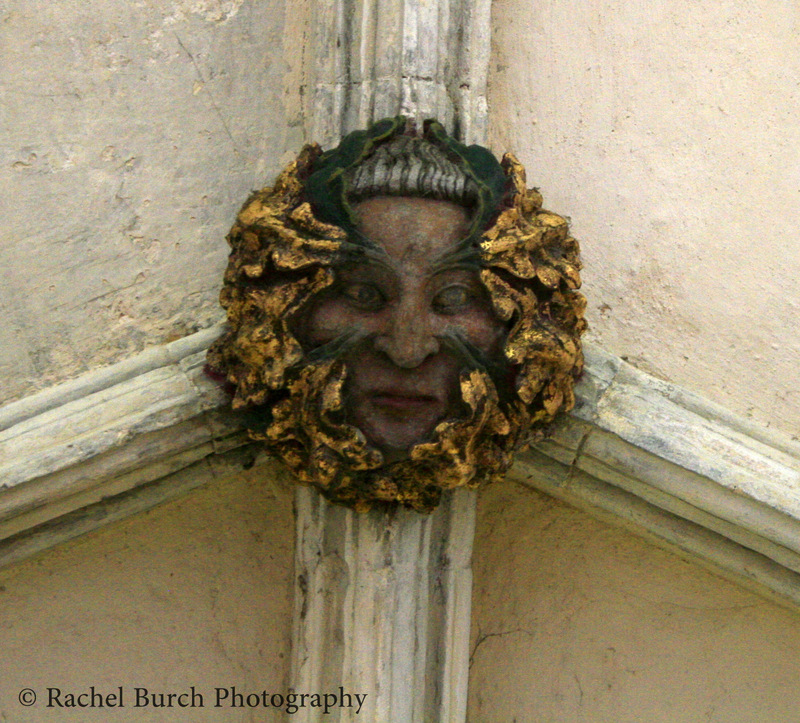 Whilst on a family visit to Norwich last weekend, I had the opportunity to photograph some of the many green man bosses in the cathedral cloisters and entrance archways. 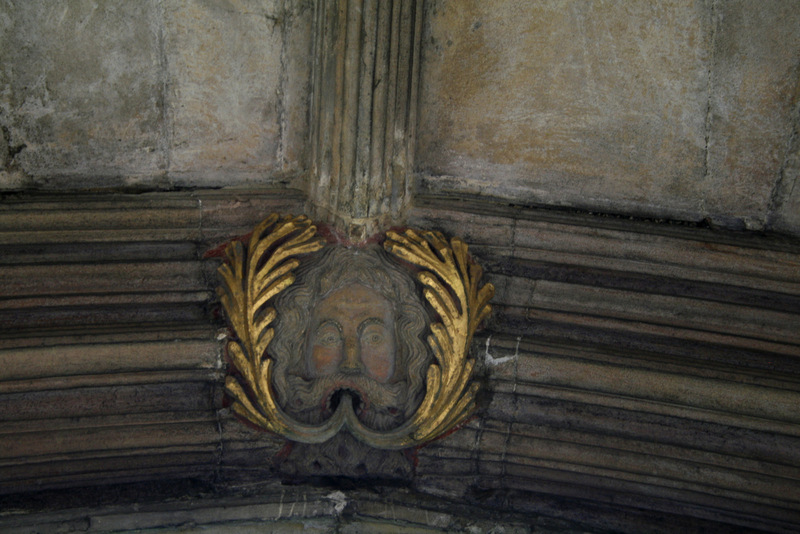 The first green man I captured was in one of entrance gates to the cathedral, one of two finely carved faces in the stone roof. This example looks like he has oak leaves disgorging from his mouth. 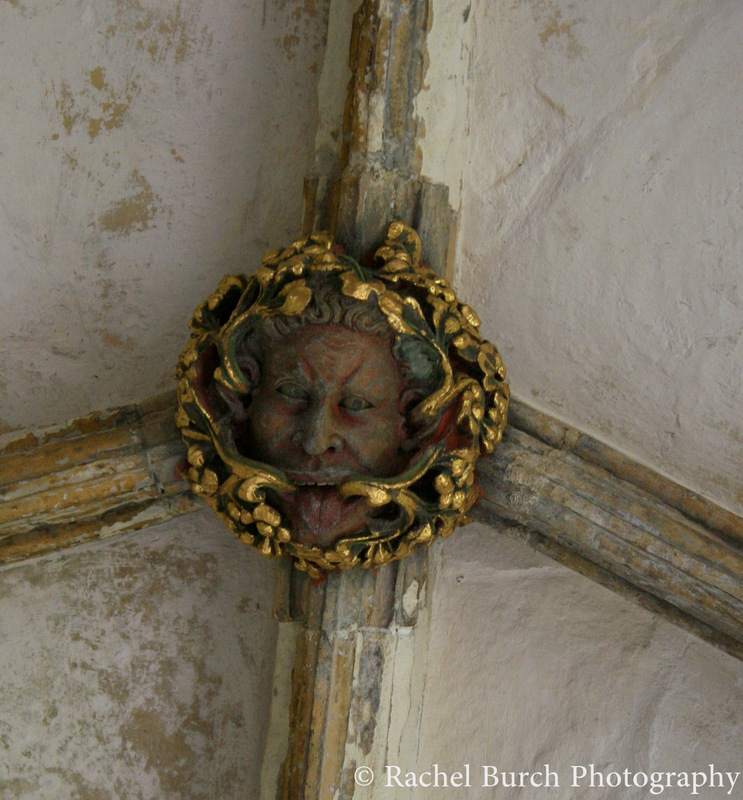 The example above was one of two that were similar in the Cloisters, this head looks almost classical. 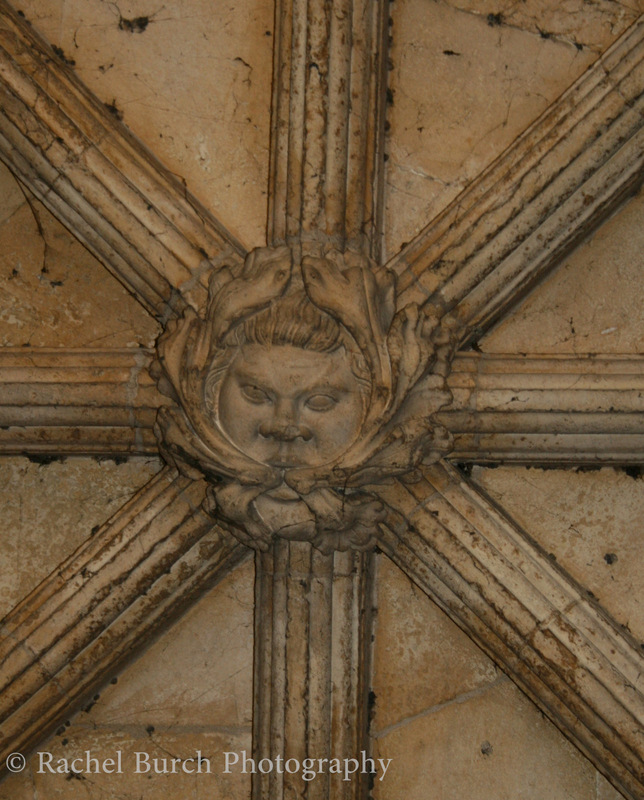 This example of an anguished looking human face disgorging foliage is particularly arresting, the carving seems to point to pain or anger. Maybe these faces served as a warning to Christian followers to avoid the dark excesses of the natural world around them. The example to the right above, depicts two heads with one disgorging gold leaf foliage. 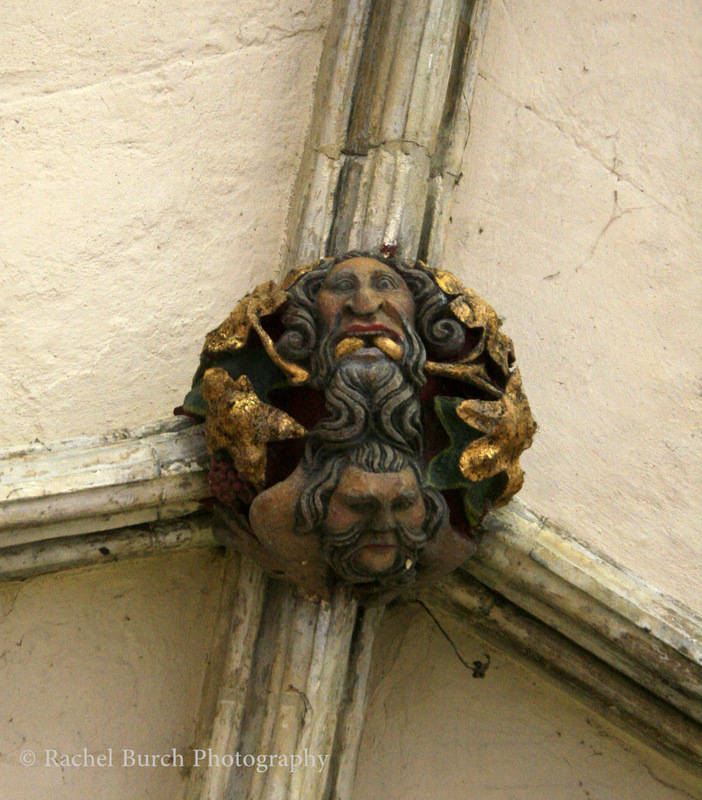 Its is unlike the double headed Exeter green man, these two figures (on the boss above) seemed to be linked intrinsically somehow. That the imagination of these medieval craftsmen lives on in our modern age amazes me. The figure to the left seems to be a Puck in the green figure, hiding in the leaves rather than breathing out foliage. 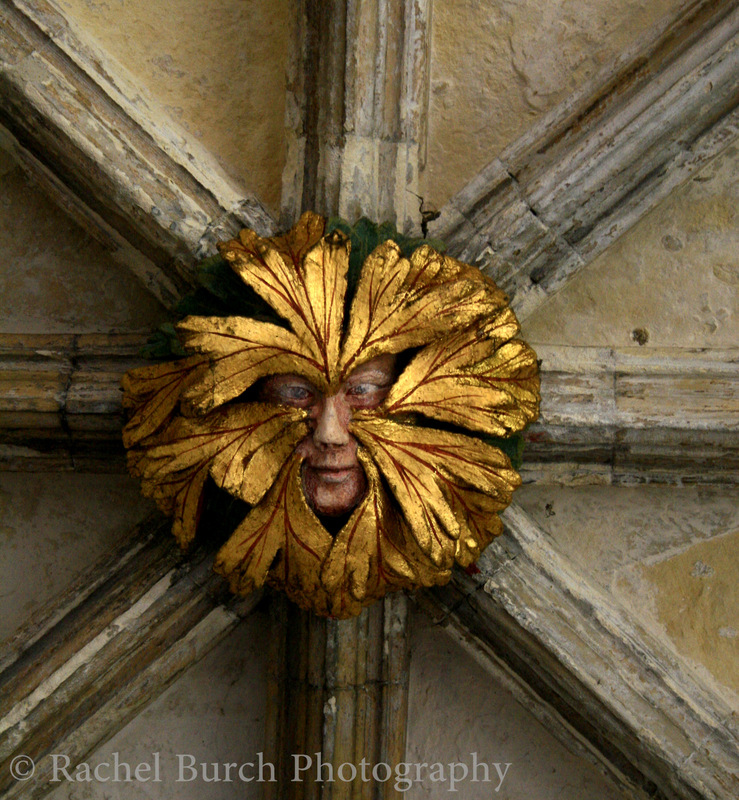 And then, above the famous gold leaf, green man face. His features seem calm, sublime and maybe even a portrait of a cathedral patron..These medieval art pieces, for that is what they are, lead my mind to a world of ancient wild woods, fear, potent imagery, and a link to primal nature. This, somehow forge links with human features, and hundreds of years ago found their way into roofs and rafters of holy places.